North Korea's missile tests suggested the country can't directly threaten the United States for now. But the Koreans can learn from their mistakes, regardless of whether the tests were posturing, serious military efforts or both, U.S. officials and military experts say. North Korea has three or four more missiles on launch pads and ready for firing, major South Korean newspapers reported Thursday. The missiles are either short- or medium-range, reported Chosun Ilbo, one of South Korea's largest dailies, citing an unidentified senior South Korean official. Japan's Prime Minister Junichiro Koizumi and President Bush have agreed to cooperate in pushing for U.N. resolutions to impose sanctions on North Korea and Japan plans to seek a G-8 statement to denounce the regime over its missile tests launches. Japan has called on North Korea to immediately stop testing missiles and return to six-party talks unconditionally. Japan's Defense Chief, Fukushiro Nukaga, says that "in addition to building monitoring radar networks, we would like to cooperate with the United States and put our joint missile interception into shape as quickly as possible." warned other nations that it would regard as an act of war any sanctions that might be imposed on North Korea because of its missile launchings. "We will be forced to take all-out countermeasures if sanctions are exercised," said Han Song Ryol, deputy chief of North Korea's U.N. mission in New York, according to the Japanese television network TBS. Han was quoted as saying that the missile launches were part of a regular military drill "to counter escalating acts of provocation from North Korea's enemies... North Korea has the right to test-fire missiles as a sovereign nation, and that will not change in the future." Another North Korean official - from the Foreign Ministry - took a similar tack, but turns the rhetoric up a bit, saying the purpose of what he calls the "successful missile launch" was to strengthen the country's self defense. 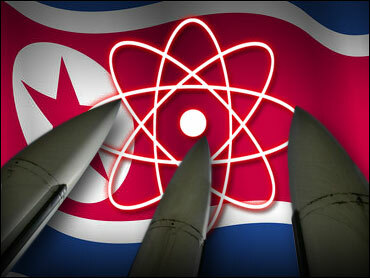 North Korea also vows to take "stronger physical action" against any outside opposition to its missile launch drills. The reclusive regime accuses the U.S. of stepping up aerial espionage and preparing to start a nuclear war on the Korean peninsula. "The military and the people of DPKR are further strengthening the military deterrent to mercilessly punish aggressors' provocations," said the Korean Central News Agency. DPRK stands for the North's official name, the Democratic People's Republic of Korea. Also Thursday, South Korea's unification minister, Lee Jong-seok, said South Korea will press ahead with its policy of engagement with the North despite the communist state's missile tests. Lee told the National Assembly that Cabinet level meetings between the two Koreas scheduled for next week should go ahead, and that Seoul will press ahead with cross-border projects with North Korea. "If economic cooperation is undermined, there will be more loss," Lee explained. "I hope that these businesses would not be affected," he added, referring to an industrial complex in North Korea jointly by the two Koreas and sightseeing to a mountain resort in North Korea. North Korea test-fired a seventh missile on Wednesday, one day after it defied international protests by launching a long-range missile and at least five shorter-range weapons. The long-range Taepodong-2 missile, the object of intense international attention for more than a month, failed 42 seconds after liftoff, suggesting a catastrophic failure of the rocket's first, or booster, stage. David Wright of the Union of Concerned Scientists, a non-profit advocacy group, says it was the most likely time for something to go wrong. "The first stage in particular is a new, large complicated stage that's more complicated than anything they've tested," Wright tells CBS News national security correspondent David Martin. The U.S. missile defense system was on alert and under orders to shoot down North Korea's missile if it threatened American territory. But Wright doesn't think it was headed this way. "It looks like it was flying well south of the continental U.S., and, in fact, it looks like it may have been chosen to fly so it didn't fly over any parts of the United States," he says. That heartened U.S. officials, since an earlier version of the long-range missile, last tested in 1998, failed later in its flight, apparently due to a third-stage malfunction. A working version of the intercontinental missile could potentially reach the United States with a light payload. "One thing we have learned is that the rocket didn't stay up for very long," President Bush said. "It tumbled into the sea." As CBS News White House correspondent Jim Axelrod reports, the administration did not want to act as if North Korea started World War III. "What do we have here? Six missiles based on World War II technology and one longer range missile that flew for 42 seconds," one administration official tells Axelrod. Of the other missiles that were launched, apparently none failed. But all of them were known quantities — they were a mix of short-range Scud missiles and moderate-range Rodong missiles. "The others were not test flights," asserted John Pike, director of Globalsecurity.org, a Washington-based military think tank. He suggested the launches were intended to put North Korea's Asian neighbors on notice. "There was something for everyone. Scuds for South Korea. And at least one Rodong for Japan," Pike said. Other scientists said that useful information could still have been obtained from the missile launches, even if they were not intended expressly as test flights. Either way, the tests offered little new insight into North Korea's strength and intentions. They did generate widespread international alarm — and propelled the U.N. Security Council into an emergency session to consider a response. "The Security Council members are now negotiating revisions to the draft that Japan has submitted, and there is some grousing by China and Russia, which want a less forceful Presidential Statement instead of a Resolution," reports CBS News foreign affairs analyst Pamela Falk. "But a statement of some type is likely to be produced in the next few days that tells North Korea to get back to the bargaining table and has all world powers on board." It remains unknown what the Taepodong-2 was carrying, but administration officials say there is little doubt North Korea is trying to develop an intercontinental missile capable of delivering a nuclear weapon, Martin reports. Investigators from the Pentagon and other agencies pored over information on the launches gleaned from satellite and other surveillance. White House spokesman Tony Snow held out the possibility of additional tests, particularly of short- and medium-range rockets. "There certainly is the potential there," he said. Anthony H. Cordesman, an analyst with the Center for Strategic and International Studies and a former Pentagon intelligence official, said one piece of useful intelligence the United States should be able to obtain is more detailed information on the structure and size of the multistage missile in the moments before it blew up. Still, the data now available, including the apparently successful flights of the shorter-range missiles, suggest North Korea is primarily focusing on getting missiles that can attack targets anywhere it wants in Asia and not the United States, with the possible exception of Guam, Cordesman concluded. Why the Taepodong-2 failed was not yet clear. But U.S. officials said North Korean engineers could learn from the failure. They also said the launches of the short-range Scud and the medium-range Rodong missiles show North Korea still has them, and knows how to use them. Dan Goure of the Lexington Institute, a Virginia-based think tank with ties to the Pentagon, said the failure of the first stage of the Taepodong-2 missile, after working in 1998, could underscore that North Korea "hadn't done much with this missile in 10 years." "The possible bright spot is maybe they're really losing their edge. Of course, errors do happen. And it's not impossible that this was just a technical glitch, and they could put another one on the launch pad in a month, let's say," Goure said. Whatever the reasons for the missile's failure, North Korea's actions have made the Japanese uneasy. In a country proud of its pacifist national policies, patience is running out in Japan CBS News correspondent Barry Petersen reports. "What we have to do is to brace ourselves — get ready for an eventual showdown if it will indeed take place a few years down the road, by beefing up our defense capabilities," says Yukio Okamoto, an adviser to Japanese prime ministers. In response, Japan's army has quietly deployed Patriot missiles at six sites across the country, including the main airport in Okinawa, the island where some 20,000 U.S. troops are based. North Korea and Japan are longtime adversaries. Five years ago, a Japanese patrol boat traded machine gun fire with a North Korean ship, the first shots that Japan's military has fired in anger since the end of World War II.